In the beginning i was like troubling my friend’s trip schedule since i joined in the last minutes and told them that i need companion. There is no way they could abandon me, i know, but something i did not know, was that they already had plan which fit 4 people, considering the car they use in the city. Malaysian police officer really concern about the number of passenger allowed in one car. Its not more than 5 peoples including the driver. Then my other friend who already stayed in Malaysia cant accompany me at that moment since he got some work to do. So, the only option was, to change the plan, and did it in backpacker style. It still was fun for sure. We started the trip early in the morning in Soekarno Hatta airport. Some of us get a late wake up but it was not ruined the schedule since we still be able to catch it up. This is my first overseas trip, and also my first overseas flight. That is why, we still became a little bit nervous about where to go and what to do in the immigration section. We should come to the fiscal window to take care of our free fiscal fee due to our membership in tax. We make a queue in the immigration center, most of the passengers were Indonesian, and that’s where i got my first stamp Yippie!. Yeah kind of silly but i did enjoy it. We all did. It took not more than one hour, which is different than my friend’s information lately about which this procedures will need two hours minimum. May be we just lucky or because this was a very early morning flight. Flying with airasia we got no food in the airplane, thats why the first thing we need to find in Malaysia was FOOD. Hemm, No! Actually we need to get out from LCCT (Low Cost Carrier Terminal) located in Sepang, taken a bus and train package (KL express), to be in KLCC (Kuala Lumpur City Centre). Its much cheaper to get this package transportation than using a taxi and or train separately. KLCC was like a central market in Kuala Lumpur where there are a lot of thing centered in one place. This is where the subways, the MRTs (Mass Rapid Transportation) and i guess some buses are (cmiiw). We first fill in our tummy with some special food made in Malaysia. Its not so Malaysian actually since we both, Indonesia and Malaysia, are from the same Caucasian tribe. We see baso, something like kwetiau with another name, hot plate for both chicken and beef, and there were also some pork meal. Well the Thai food also counted famous here since they are from neighborhood. Our original plan was to visit Genting highland. But its noon already, and since this place a little bit further, it would make us spent most of our day in the road. Beside, the Skyway cable car was under construction and not yet working properly, then we decided not to come at all. There is also a theme park in that highland, but people said, Dunia fantasi in Jakarta Indonesia still better for the recreation park, so yeah, we decided not to go. 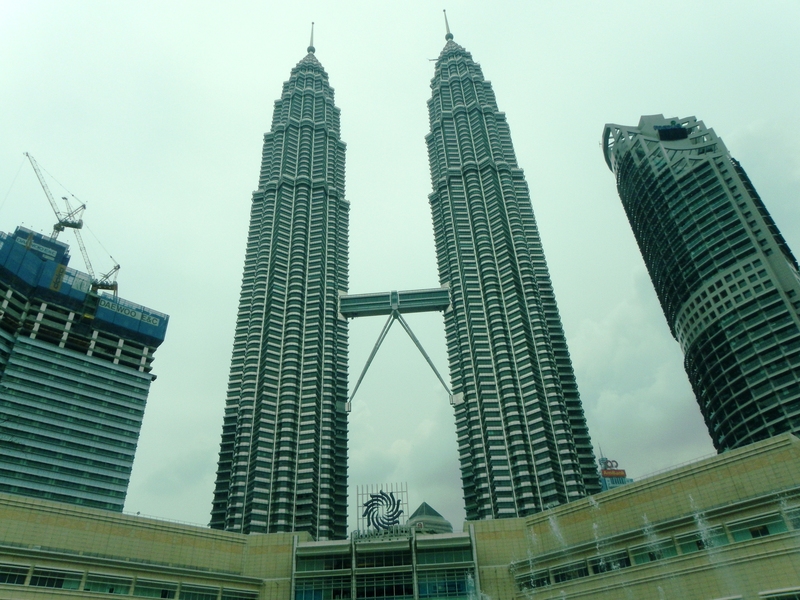 We choose to visit the famous twin tower Petronas first. We get in an MRT, cost us around RM 2, and voila, that was the first time i try MRT. We were sitting around and taking picture of the big giant twin tower. It was fabulous pictures but not so gorgeous since the sun shines too bright at that moment. After drank from some -free to drink- fountain, we get in the MRT again headed to Ipoh street where we gonna find our hostel. Lucky us, we found this Holiday Inn which only cost us RM80 for one family room, for 5 peoples, but without breakfast. Unfortunately the water did not flowing well. Its not that much matter of us since we just stay there at night. But yeah, in the morning everything be a little freaking out. We have an afternoon lunch at Kedai Mamak somewhere around Ipoh street. We try its delicious roti cane, nasi lemak and also the my most favorite drink in the world, MILO! yeah its just milo but i like it so much. The Milo here is different, i assure you. 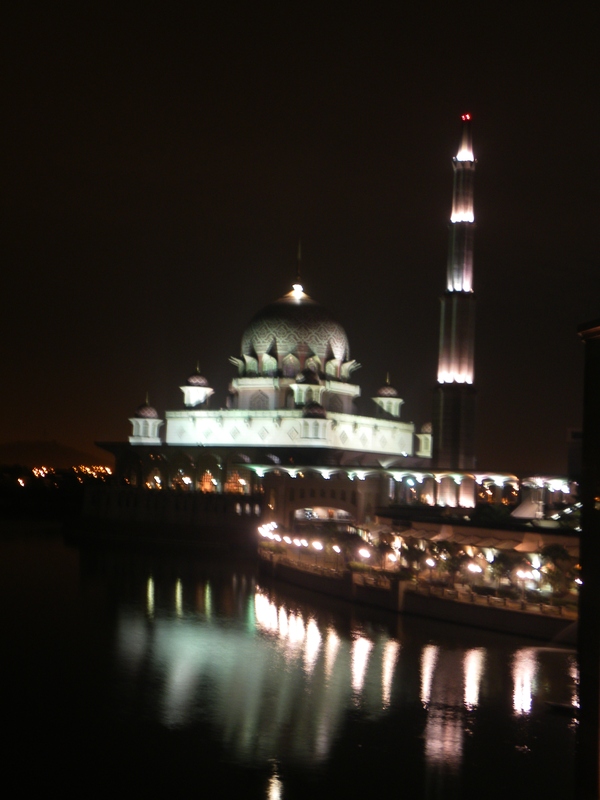 At night, after trying to get some borrowing car from a friend, we headed to Putra Jaya. It is a place for all governmental office of Malaysia. The supreme court, department, ministry, and also prime minister office. All in one huge place, united and also show us the most amazing architectures. Including several big mosques, bridges, and lake. The street they made also consist of some unique shapes, such us for the traffic lamp. Well i dont know what this place looks like at noon, but it surely fabulous at night. They usually cut the electricity at 12am. We going back to town at that time. Second day, we headed to Malaka, the historical place with so many unique building and nice architectures. There were only four of us going. First we grab some breakfast at kedai mamak and then catching the MRT headed to Bukit Jalil. In that place we should get a bus to Malaka. In the bus we met a travelmate named Soleh. He gave us some information and story. He did help too since he is becoming the only guy at Malaka trip. He traveled more that all of us. He’s been to Europe and another Asia. wow! 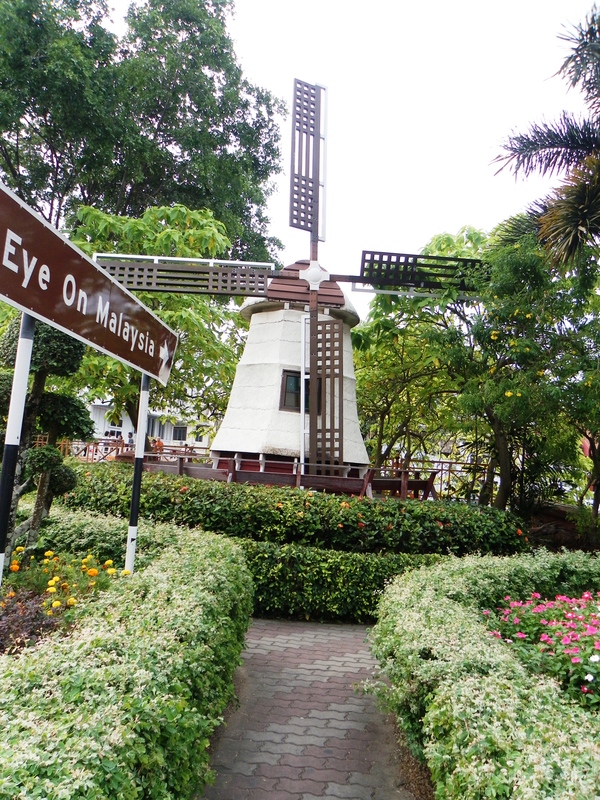 Walking around, we get on this Taming Sari Tower, from where you can see and enjoy the view of Malaka from above. We should pay RM20 to get in, there is this special discount for local by which they were mistaken us as Malaysian 😀 yeah we looks like one somehow. 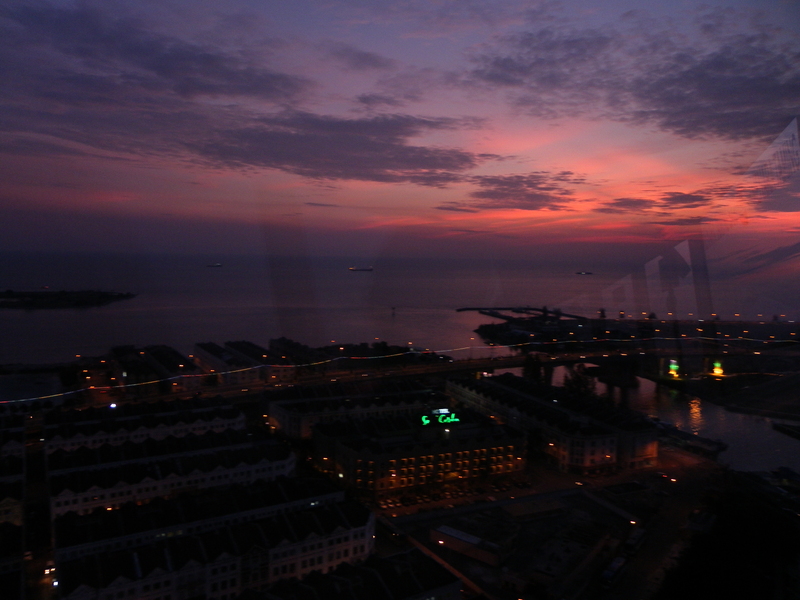 It was only for 15 minutes in the high and since we get the perfect time, we could enjoy the sunset from up there. The gradation of evening sky, from orange to purple and finally darken. The lights from the city, harbor, bridge, we can see it all from above. Its fantastic and amazing but i can’t really get a nice picture since the tower rotated you 360 degrees and its keep moving all the time until we get down to earth again. Its late night, and we should catch up our last MRT at 12am which mean we should get back to the bus terminal about 2 hours before. We grab a taxi and be in there, all five of us. It will counted as a trespass if we accidentally met the police. We ask the driver to make it faster since its already 9pm. Soleh really help here. As the only guy he help us finding the taxi, make sure about our safety and get us the right bus. Then we say good bye and plan to meet up at Jakarta. Well, that night journey is not yet end there. 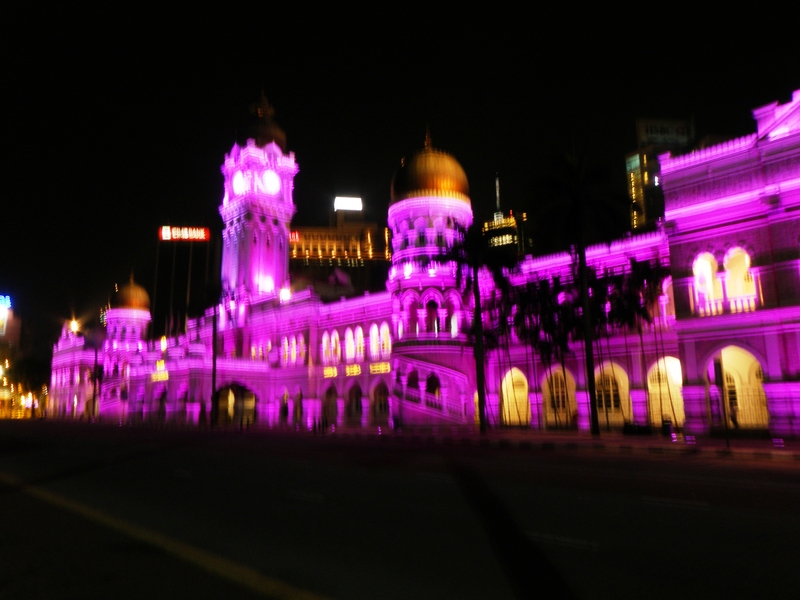 We continue our trip to see this Dataran Merdeka, where the light covers most building in the city near central market. It was purple and light. We can not drop off since its almost 12am already and the light was about to switch off. We come to visit I-city, where so many things were rebuilt using colorful lamp and making up so many unique features. From this place we had the very late dinner, right after midnight, some curry, cane, milo (again), and some noodles and fried rice. We really dig to all of our power to stay awake and enjoy the holiday to the fullest! 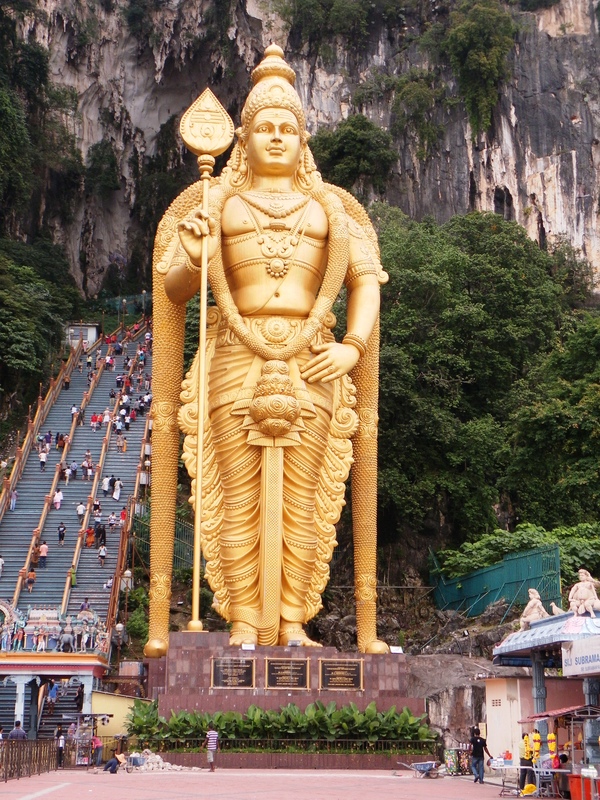 Last day, its Sunday, we should begin packing up and enjoy this last holyday for Batu cave. It is around the north of Ipoh Street, we got in a bus and heading to that place paying RM2. We did not know exactly where it was but we can ask, can’t we? So thats it. 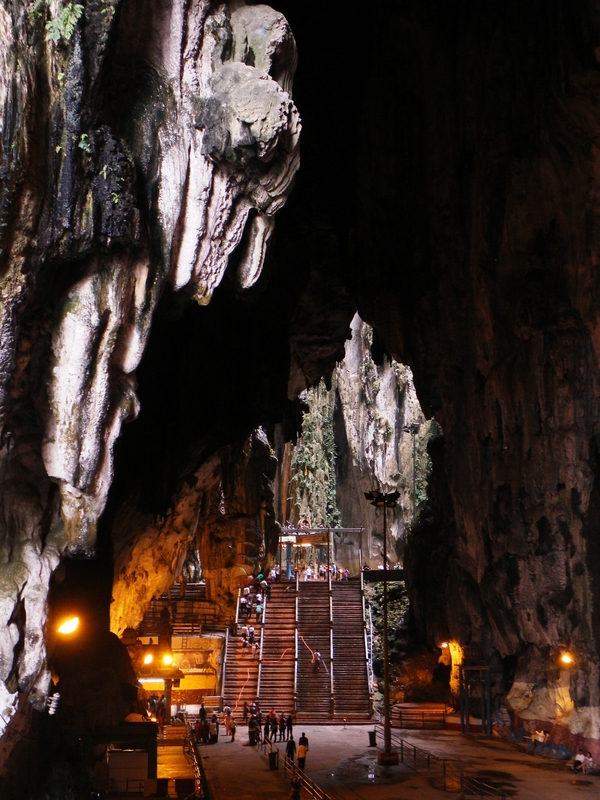 After a couple walk we can see the giant Buddha in front of a cave which hidden above so many stairs. We should climb up and yeah it take some efforts in here. Inside there are some other Buddha’s statue, people go praying there and some tourist just enjoying the moment and or trying make some pose with living snake. The light inside the cave was amazing. I mean, with some yellow, green and also red light. They shine the whole place to make it even more mystical. It is a huge cave, more than one kilometers in high. 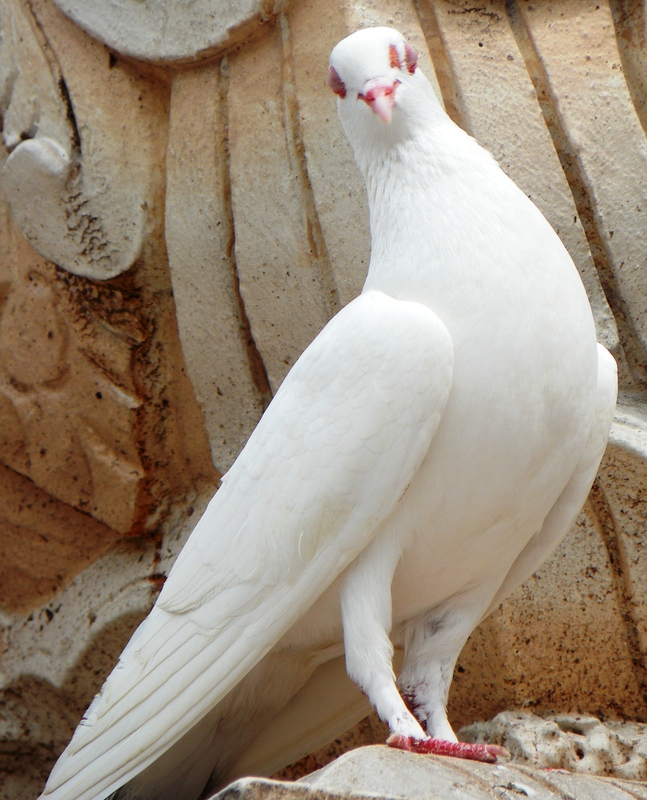 A lot of monkey and pigeon played i n there, flying and enjoying some attraction with tourist. We take so many pictures, with us and without us in it, and then going down to see another Buddha that looks like goku from DragonBall movie. We bought some Indian snack, and enjoying the interaction with them. They are fun actually. Coming back from Batu Cave we hurry headed to Bukit Bintang, go shopping. Hey we are girls! We look up at Vinc, the Malaysian shoes line, and find nothing interesting in it, and then just buying some chocolate for gifts. Two of us need to get back home soon, since their flight was that late night, while me and another two still would be able to enjoy the city for the last night. Our flight was the next Monday morning. We continue our little shopping time to Central Market and Petaling Street. We did not know where it is and again we count on a map and people around. 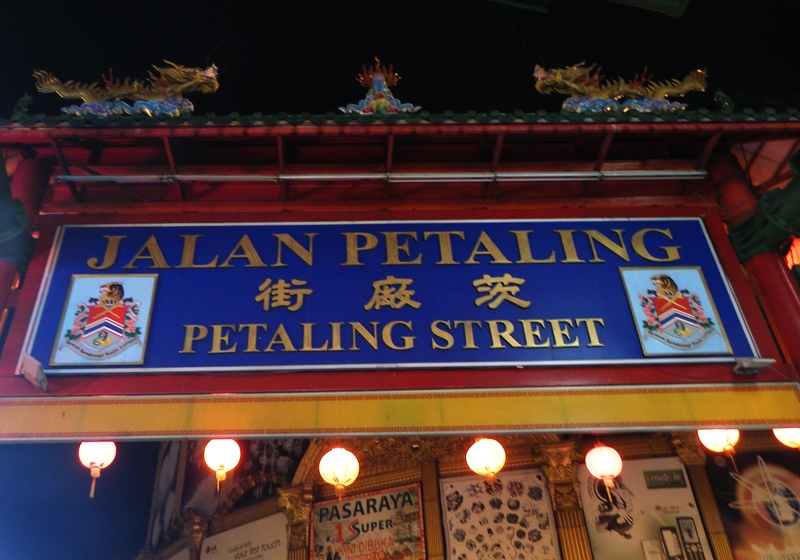 Shopping at Petaling street was amazing. We can get a lower price of ‘almost’ qualified product. You know, the fake product which made in China or Korea. Having almost the same brand as the real line, and also almost the same features and forms. Tired of shopping we come and visit the central market, buying more chocolate and enjoying white coffee. We do another walk to the nearest MRT and headed to KL central, trying to get the latest KL express. Unfortunately we did not make it. So we need to take on the last train to KLIA and then continue it to LCCT, where our flight is, by bus. It cost us more. Its still night and for the first time of my life, i need to sleep at the airport, WOW!. Sitting at the bench and buying some McD for our tummy. Well, that kind of some experience though. And we found out that its not only us, some other people stayed and take some rest at the airport too, to catch the early morning flight.